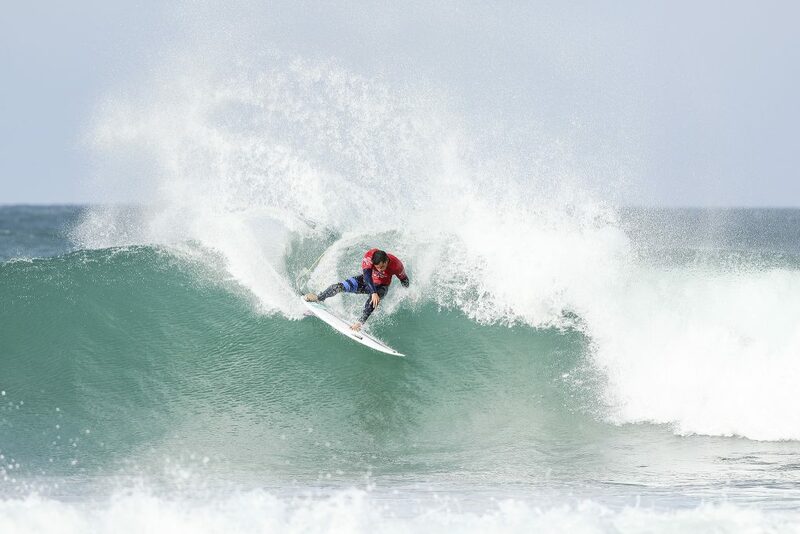 Incredible Opening Day of Action at Corona Open J-Bay | EasternSurf.com | All East Coast. All The Time. JEFFREYS BAY, South Africa (Saturday, July 15, 2017) – The Corona Open J-Bay, stop No. 6 on the 2017 World Surf League (WSL) Championship Tour (CT), got off to an incredible start today running through Round 1 in excellent conditions at Supertubes. 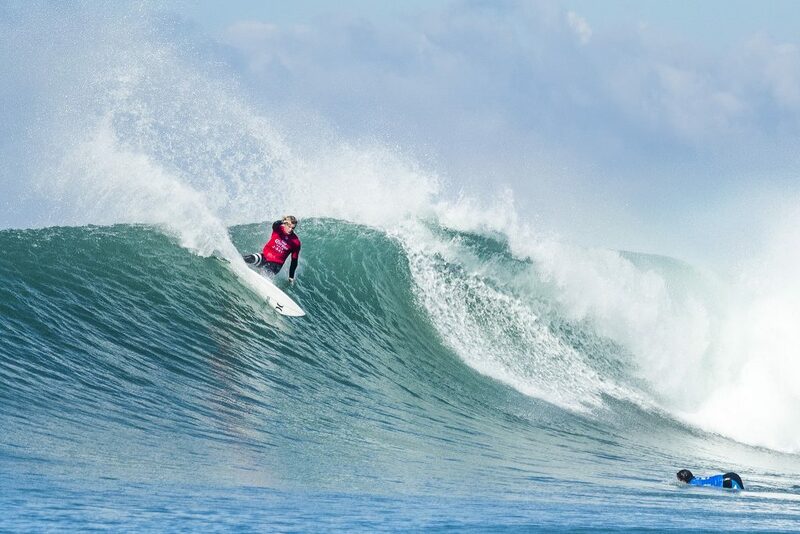 The world’s best surfers made the most of the overhead surf on offer and the WSL Champions dominated the day’s action and each won their opening heat and advanced directly to the third round. Reigning WSL Champion John John Florence (HAW) was the performer of the day and commanded the lineup in his Round 1 match-up against 2017 WSL rookie Ian Gouveia (BRA)and trials winner Dale Staples (ZAF). The current World No. 2 posted three nine-point rides including a near-perfect 9.70 for two tube rides and two incredible turns. Local hero Staples looked in fine form to finish the heat in second place with a 16.03 heat total while the Brazilian rookie failed to escape combination. The World Champion sealed the win with an excellent 9.67 and a 19.37 heat total (out of a possible 20), the best of the day. An impossibly deep barrel from 2014 WSL Champion Gabriel Medina (BRA) was rewarded with a near-perfect 9.93, the highest single-wave score of the day, and a confident victory over opponents Stuart Kennedy (AUS) and Caio Ibelli (BRA). With four previous Quarterfinal finishes at Jeffreys Bay, Medina is keen to post a strong result in South Africa to move up inside the top ten on the Jeep Leaderboard. Round 1 Heat 5 was another huge match-up and two-time event winner Jordy Smith (ZAF)took the early advantage over Conner Coffin (USA) and event wildcard Michael February (ZAF). Coffin quickly leapt into first place with a technical barrel followed by a series of critical maneuvers and was rewarded with a 9.37. Smith, currently sitting at No. 3 on the Jeep Leaderboard, continued to scour the lineup for the 8.72 required but a final attempt with two minutes remaining wasn’t enough and he is relegated to elimination Round 2. Fan favorite February had the crowd on their feet, but didn’t have the power to challenge Smith and Coffin and was left in a combination situation. Jeremy Flores (FRA) delivered another impressive performance and the first upset of the day in Round 1 Heat 4. Flores took to the lineup in against current No. 1 on the Jeep Leaderboard Matt Wilkinson (AUS) and Ethan Ewing (AUS). The Australian rookie, who has yet to win a heat on the CT in his opening season, came out battling to take an early lead but Flores stormed into first place with a 7.83 and quickly improved his scoreline with an excellent 9.17 for multiple barrels and finished with a 17.00 heat total. Wilkinson and Ewing will surf again in elimination Round 2. Three-time WSL Champion Mick Fanning (AUS) opened his Round 1 match-up with a bang and posted an 8.50 for a series of big carves. The defending and four-time event winner improved his lead with another excellent score, an 8.73, to advance easily to Round 3 over Sebastian Zietz (HAW) and Joan Duru (FRA). The 11-time WSL Champion Kelly Slater (USA) powered through his first heat at Jeffreys Bay by opening with an excellent 9.10 for a deep tube ride. A back-up 7.17 sealed the win for the four-time event winner, despite a last-minute attempt from Julian Wilson (AUS), sending the Australian and Kanoa Igarashi (USA) to elimination Round 2. The opening heat of the day saw two-time event winner Joel Parkinson (USA) take on Brazilians Wiggolly Dantas (BRA) and Miguel Pupo (BRA). 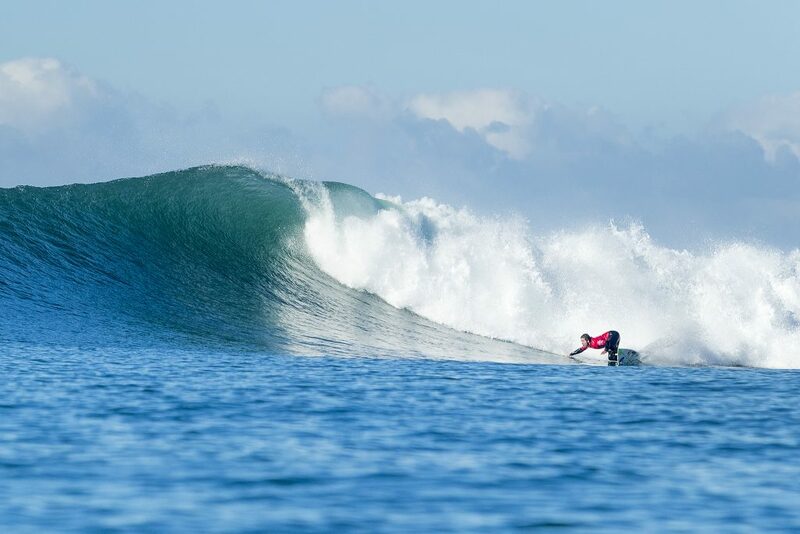 The 2012 WSL Champion looked hungry for his third win at Jeffreys Bay. Dantas found an incredible stand-up barrel but wasn’t able to complete the ride and the score fell short. Parkinson meanwhile used his experience to find an excellent 8.23 and take the heat win. An incredibly close heat between 2015 WSL Champion Adriano de Souza (BRA), 2017 WSL rookie Frederico Morais (PRT) and Jadson Andre (BRA) played out in Round 1 Heat 3 with the trio separated by just 1.26 points. De Souza opened strong with a 7.83 to build his scoreline. The Portuguese rookie chased the World No. 3 throughout the heat but his final ride fell just 0.10 of a point short of the required scored and he will have to surf again in Round 2 along with Andre. Event officials will reconvene tomorrow morning at 7:00 a.m. local time to assess the conditions and make the next call. Surfline, official forecaster for the Corona Open J-Bay, are calling for: Overlapping SW to SSW swells through the weekend will provide fun to mid size surf. Light offshore flow Saturday will become strong/breezy offshore flow Sunday. Monday will see a decreasing trend for the first half of the day as offshore flow likely continues. A new, and potentially strong, SW to SSW swell looks likely to build in through Tuesday before easing Wednesday. Favorable wind looks likely. There is potential for more SW swell for the end of next week.